In the early twentieth century, newsboys were a characteristic of the urban landscape, a ubiquitous presence on big city street corners across America. Boys and girls as young as five or six peddled penny and two-penny papers in the wee morning hours, during the school day, and long, long, long after dark. On muggy and sunny summer days and on blustery winter nights, children sold the news and collected their pennies. In 1900, there were ten major, general-circulation newspapers in Chicago and dozens more specialty publications, as well; and at least 4,000 newsboys and newgirls sold them from established newsstands, from pull carts advertised with newspaper mastheads, from makeshift box displays, and from right out from under their own little arms. The exuberant voice of the newspaper crier, which cut above the chaotic din of the bustling Chicago streets, was more often than not the voice of a child. 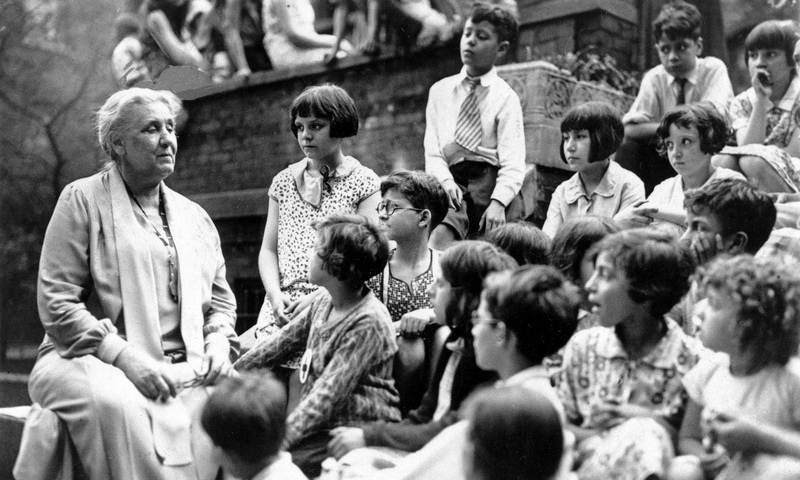 And where there was the voice of a child on the streets of Chicago, there was, of course, Jane Addams. In a number of speeches in the early 1900s, Addams argued that “something should be done to take the babies from the streets.” Through her work at Hull-House, Addams witnessed firsthand the dangers faced by children who earned a living on the urban streets. Popular culture has romanticized the newsboy as a “saucy, chattering” chap, whose smudged, little face and crooked Gatsby-hat belied street smarts and worldliness that made him wise beyond his years. Yet Addams would never have succumbed to such romance, for her experiences had shown her otherwise. So while Chicago’s newsboys raised their voices to sell Chicagoans the news, Jane Addams raised her voice to protect them. Many programs at Hull-House kept children off the streets, maybe even keeping some from resorting to the sale of the evening news. Addams spent a lifetime lobbying for child labor laws, and her hard-hitting articles and widely attended speeches raised public awareness about the difficulties of life for poor children, particularly those of Chicago’s immigrant families. But as was the way of the world in the Progressive Era, many children in the inner city had few choices; and for some, the freedom of movement and money in pockets made selling the news quite an alluring prospect. There were a few newsboys who made $3-5 dollars a day. One small Italian boy named Antonio, who operated two stands on the corner of Clark and Monroe streets, sold 1,000 newspapers a day. The thirteen-year-old Antonio had inherited the prime location from his father, and he benefited from a corner monopoly at a very lucrative location. Antonio was one of the lucky ones, however. Most newsboys were fortunate to take in a fraction of Antonio’s income, as typical pay was just 50 cents per 100 penny papers sold each day; and most did not have the luxury to stand still in one spot and sell such a large quantity of papers. Instead, they lugged heavy, wheeled carts, toted bulky satchels, or secured their product under their arms, as they searched the streets for customers. And it was those roaming newsboys who were, of course, most vulnerable to the dangers and temptations of the city. 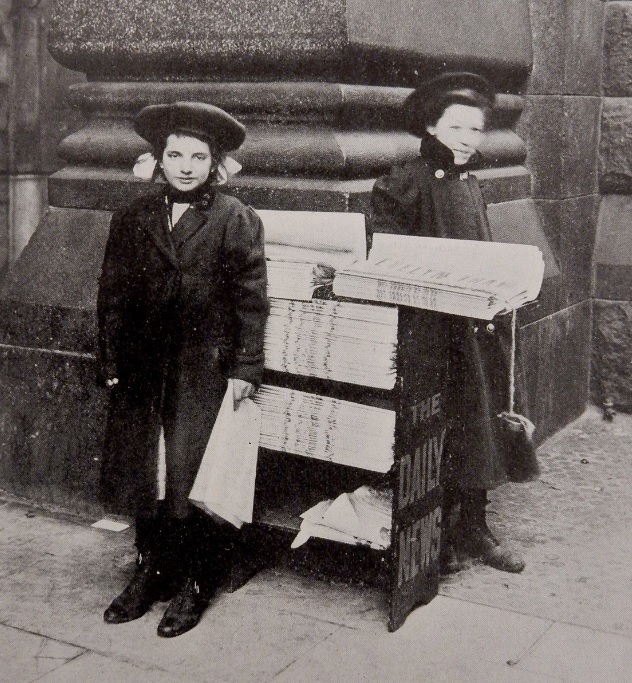 Children selling papers at rush hour, at dark, in terrible weather, and without protective supervision faced many perils. In June 1903, Cornelius Scanlan, a twelve-year-old newsboy was selling papers to street car travelers on 47th street when he was hit and killed by a northbound train. Many newsboys were orphans or from poor families and were inadequately attired for Midwestern rains and for Lake Michigan cold. One newsboy named Peter was found sleeping in News Alley at 2 a.m. on one of the coldest days of the winter. He claimed to be an orphan who came to Chicago from Milwaukee. Weather was a constant problem for those who worked and lived out of doors. Newsboys were also frequently the victims of crime. William Cullen was a blind newsboy who was “a familiar figure” at Blue Island Avenue and Twelfth Street. He sold newspapers from a small wagon and with the protection of a dog, but one night as he slept two men stole his newspaper stand, jeopardizing his means of subsistence. Particularly troubling was the potential for sexual assault. 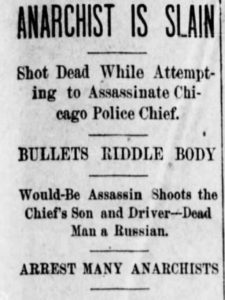 The Chicago police collected evidence on one adult news dealer who had a prosperous corner on Halsted Street. He made eight boys who worked for him come to his room to receive their pay “and there committed violence” on each, most under the age of 14. One-third of the newsboys sent to one reform school in Chicago had venereal disease, an unfortunate reality for many kids who risked life and health on the streets. Of course, even those who were not abused suffered lung ailments and other sicknesses that went untreated; and if they became too unwell to sell papers, they lost income, as well. Sadly, too, adults who should have protected them were often the perpetrators of mistreatment. Many parents, some desperate themselves, pressed these children into the newsboy “economy.” Police officers were sometimes guilty of harassment, as some in Chicago took payoffs from newspaper companies to guarantee particularly lucrative corners, muscling away newsboys who “trespassed” upon those monopolies, and even arresting others for loitering. In 1902, a group of some 200 newsboys organized the Chicago Newsboys’ Protective Association.  This union tried to mediate the conditions of newsboy employment with newspaper publishers, to lobby for better conditions, and to help members who were sick or injured. Strides were minimal, and the streets were no less dangerous. As well, newspapers in this era had multiple editions, and papers were published at morning, at noon, and at night. As such, days for newsboys were often long; and truancy from school was a common problem. Working on the streets also exposed newsboys to the temptations of gambling, smoking, and other vices that resulted from a vagrant lifestyle. Some of these kids were runaways. Edward Fink, a twelve-year-old from South Bend, Indiana, took $30 from his mother and traveled to Chicago on a freight train. He was selling papers on the streets of Chicago and living with other newsboys when he was arrested and returned to his parents. 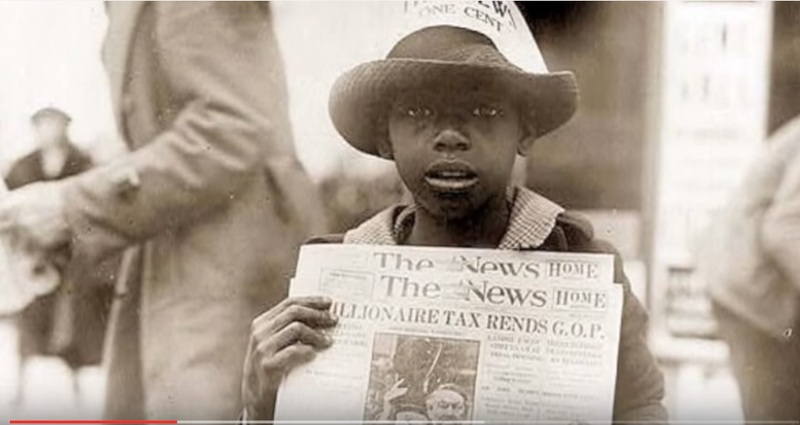 Another boy, a sixteen-year-old from Texas moved to Chicago to work as a newsboy because black newsboys were not allowed in his town. But when he arrived in South Chicago, police arrested him for vagrancy. In 1903, Jane Addams was part of a two-day investigation into the lives of newsboys in Chicago. Commissioned at the behest of the Federation of Chicago Settlements, a committee of twenty investigators hit the streets to interview 1,000 newsboys (including 20 newsgirls) in Chicago’s “Loop.” They reported that “while favorable to the legitimate features of the newspaper industry” their investigation confirmed their “impression that Chicago needs a city ordinance which would obviate many of the abuses now apparent in the news trade.” The committee printed a 28-page, illustrated pamphlet, which outlined the work and social conditions of the children who sold newspapers and offered proposals for child labor laws to protect them. The investigation in Chicago reported that the newsboys they interviewed had ranged in age from 5-22 and that 127 of them (12%) were under the age of 10.  Among the number, Italian, German, Irish, and Jewish immigrants were numerous. The investigators turned up one five-year-old child and five other kids who were just six. The report noted that “the small boy, under ten years of age, is on the ragged edge of the newspaper business.” No doubt, younger newsboys faced the most hardships and dangers, too. The pamphlet garnered some attention, but six years later Addams was frustrated. In a speech in March 1909 about children and street trading, she complained that newsboys had fallen in the category of “merchant” and were not subject to child labor regulations. Addams was annoyed that even as Illinois had enacted a child labor law, which should have limited the working hours of all children and protected them from harsh labor conditions, it did not apply to Chicago’s newsboys. “So far, we have been unable to secure any legislative action on the subject,” she lamented. “It is a very disgraceful situation, I think, for Chicago to be placed in while the Illinois child labor law is so good. 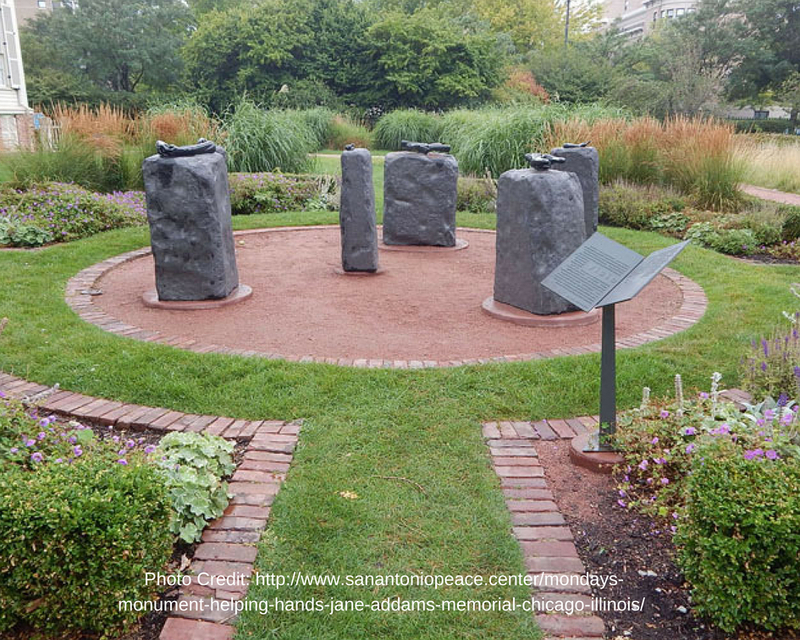 The City of Chicago is a little careless, if not recreant, towards the children who are not reached by the operation of the state law.” And so, Jane Addams’ battle for the safety and wellbeing of all children would continue. 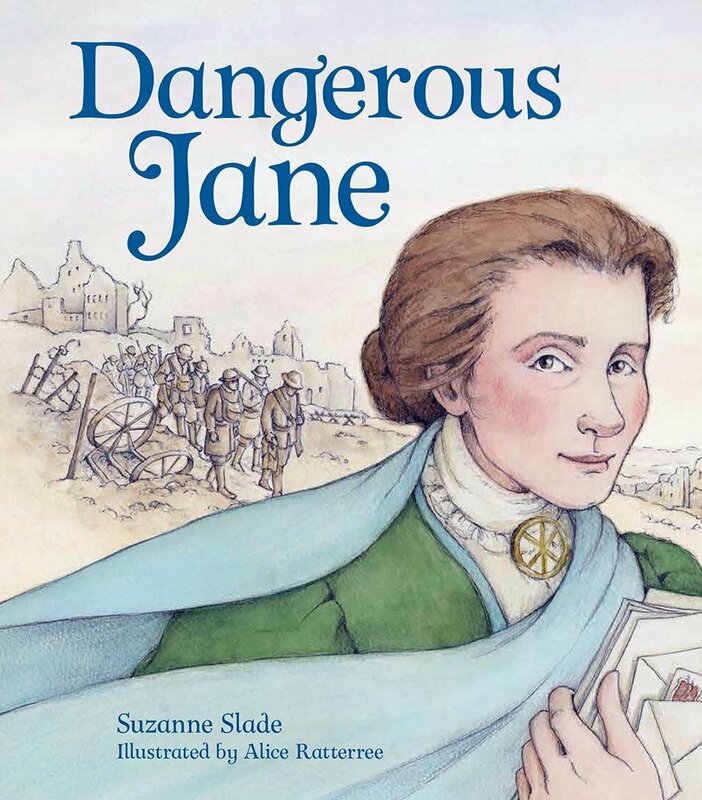 The remarkable, illustrated pamphlet that Jane Addams and her group published is now a part of the Jane Addams Digital Edition, where you can read the document in its entirety. You will also, no doubt, enjoy the poignant photos of real newsboys and newsgirls who worked on the gritty streets of early twentieth-century Chicago. Sources: Jane Addams, “Address to the Merchants Club, March 8, 1902,” Jane Addams Digital Edition; Jane Addams and Federation of Chicago Settlements, Newsboy Conditions in Chicago (1903),” Jane Addams Digital Edition, accessed March 31, 2017; Chicago Daily Tribune, 7 May 1903, 3:1; 24 June 1903, 1:6; 9 October 1903, 4:3; The Inter Ocean (Chicago, IL); 5 August 1903, 9:5; 13 September 1903, 25:1-7; Aaron Brenner, Benjamin Day, and Immanuel Ness, eds., The Encyclopedia Strikes in American History (New York: Routledge, 2015), 614; “Chicago Newspapers,” https://chicagology.com/newspapers/; Myron E. Adams, “Children in American Street Trades,” The Annals of the American Academy of Political and Social Science 25 (1905): 23-44. 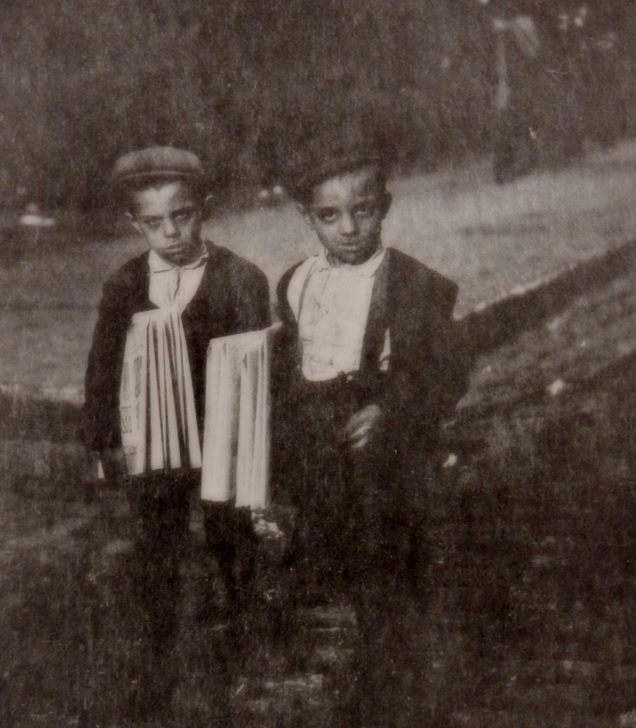 The photos featured here are included in Newsboy Conditions in Chicago. “Clowns Gathering in the Woods,” blares CNN. “Creepy Clowns: Serious Matter or Sick Joke,” asks The Guardian. It all started in South Carolina, where groups of children swore that clowns, lurking in the shadowy woods, and attempted to lure them to an abandoned house deep within the forest. Police could not find any clown paraphernalia at the scene, but that did not stop another group of children from seeing a shady clown just one week later on the other side of town. Once again, police could not find any hard evidence of red noses, water-squirting flowers, or tiny cars that can somehow fit ten people inside. Americans chuckled to themselves, “Oh those South Carolinians are too much!” Then the clowns went national. They started showing up all along the East coast, from Florida to Maine. Then, in some sort of clown-manifest-destiny, the clowns traveled West to Texas, Colorado, Utah, and eventually were found scaring fish and surfers in California. It is not known if any clowns have swam across the Pacific to haunt Hawaii. Scary clowns are not unique to the fall of 2016. Oh no. As I was reading through old newspapers from 1912 Chicago in an attempt to find out more information about a specific correspondent, I stumbled across an incredible byline on the adjacent page. It was about a murderous clown, living in Chicago not far from Hull-House, where Jane Addams was busy toiling away, and his vaudeville singer wife who plotted the downfall of their wealthy roommate. 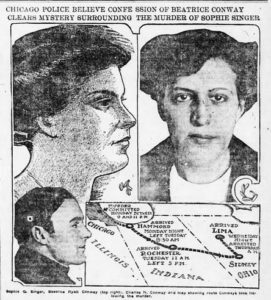 In early October, 1912, a Baltimore heiress named Sophie Singer came to Chicago with her fiance, Will Worthen. They were met at the station by a “Mrs. Conway” who suggested that they all get a flat together instead of a hotel. “Mrs. Conway” was really Mrs. Louisa Cramer, wife of Charles N. Cramer (alias Charles Kramer, alias Charles Conway). 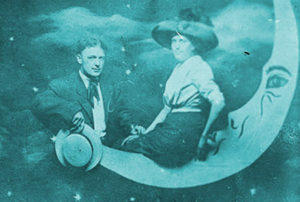 The couple was part of a traveling circus, he as a human cannonball and a clown, and she as a singer and a lion tamer. Oh, and he had a wooden leg, too. The three moved in together, and were shortly joined by Mr. Cramer. The Cramers, under the alias of the Conways, were dirt poor and only lived off the wealth of their heiress roommate and her well-to-do fiance. All was well until Ms. Singer decided that she would move back to Baltimore, leaving the Conways with no well of money to draw from. This did not sit well with the carny couple, and one night while Mr. Worthen was away gambling, the one legged clown made his move. Worthen came back to find the key-hole stuffed. Breaking down the door, he found Sophie’s tangled legs sticking out from under their bed. She had clearly been strangled to death; her hands were tied with thin wire and Cramer’s handkerchief was shoved so deep into her throat that police needed pincers to remove it. Her jewelry had been stolen. Several months later the Cramers were caught in Lima, Ohio. Mrs. Cramer quickly confessed and threw her husband under the bus as well. Charles would eventually confess as well, though he insisted that his wife had nothing to do with the murder. During the arrest and subsequent trial Cramer the Clown decided to lighten things up with a couple jokes. “Say, Captain?” he asked during the trial. “Do you know that in this case you can’t hang a man with a wooden leg?” When the Captain said he’d never heard of a law like that, Cramer said “You have to use a rope!” Ba Dum Cha! Charles was sentenced to life in prison, and only narrowly avoided the gallows. As he was led away, he vowed that he would “get out of this,” and twelve years later he made good on his promise. In 1925, despite his assumed lack of running ability owed to that wooden stump on his left side, Cramer ran away from a work farm in Joliet, Illinois. He was never seen or heard from again. The next time you hear about a clown sighting in your neighborhood, you may want to exercise extra caution. Who knows? Maybe its Conway the Clown, 100 years old and still chasing people with his stump leg. March 3, 1908. Headline proclaiming the death of Lazarus Averbuch. – The Pantagraph, Bloomington, IL. When thinking about the issue of police brutality in Chicago, many of our first thoughts find their way to the incidents of the recent past. The images that still burn freshly in our minds are those of Laquan McDonald being fatally shot from behind by Officer Jason Van Dyke, or a recently discovered history of gruesome torture by former police commander Jon Burge. While Chicago certainly has a history of police misconduct – Burge had reportedly been using torture to provide false confessions from his suspects since 1972 – that history sees its true beginnings in the early 20th century, as Jane Addams attempted to make sense of the violence she saw in her city of Chicago. 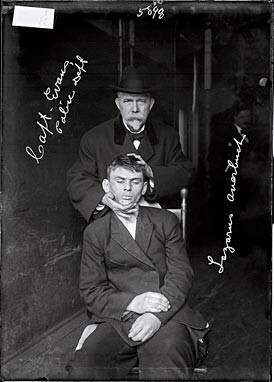 Addams’ first published opinion on file of a police brutality incident comes during the time of the “Averbuch Incident” in 1908. The chronicle, told in the papers from the point of view of Officer Shippy, begins with Lazarus Averbuch, as the press called him, though in realty his name may have been Harry or Jeremiah, a Russian born Jew who had recently immigrated to America. 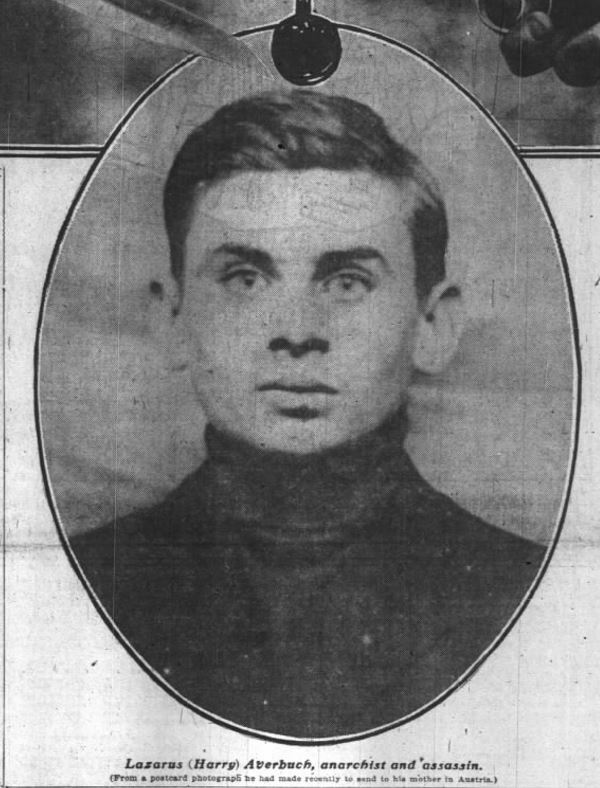 Averbuch was a young man, almost 19, who in the early morning of March 2, 1908 called upon Chicago’s Chief of Police, George Shippy, at his home in Chicago’s North Side. Shippy, having been informed that this was the fourth time Averbuch had called upon him in two days, became suspicious; assuming Averbuch was an anarchist bent on assassination, Shippy seized Averbuch by the arms. Before Shippy could disarm him, Averbuch drew a knife and stabbed Shippy in the arm. As Shippy’s son, Harry, ran downstairs due to the commotion, Averbuch drew a revolver and fired two shots, one of which struck Harry. At this, James Foley, an officer assigned to be George Shippy’s driver and bodyguard, entered and attempted to seize Averbuch. Before being embraced by Foley, however, Averbuch fired a shot into Foley’s hand. Very shortly after, both Foley and Shippy emptied their revolvers into Averbuch’s body, who then fell dead. Funds were raised by prominent Jews for a private investigation into the claims made by Shippy that Averbuch was an anarchist intent on assassinating the Chicago Chief of Police. Jane Addams organized an investigation to be led by young Chicago attorney Harold Ickes, who later served as Secretary of the Interior under President Franklin Delano Roosevelt. At the same time, the Jewish press, mainly the Jewish Courier, tried to argue that Averbuch was following foreign protocol in order to obtain a letter from the chief of police indicating that he was in good standing and of good character in order to obtain a job outside his community. All shots, the Jewish press argued, were the result of wayward bullets fired from either Foley’s or Shippy’s guns. Addams witnessed the aftermath of the Averbuch Incident from an immediate proximity. Addams’ Hull-House was located near Averbuch’s community, and the settlement often served as an interpreter between foreigners and the city’s native populace, and vice versa. She understood that foreign-born anarchists were feared in the city of Chicago after their involvement in the Haymarket Riot two decades prior. Addams, however, was not convinced of Shippy’s story, believing there to be too many inconsistencies. Addams reminded the public that Russian-Jews, like Averbuch, had escaped very harsh treatment from police while in their home country; she also argued that the treatment they received from American police was no better. “The older men,” she stated, “asked whether constitutional rights gave no guarantee against such violent aggression of police power, and the hot-headed ones cried out at once that the only way to deal with the police was to defy them; that that was true of the police the world over”. “It registered,” she said, “a conviction that in a moment of panic a republican government cared no more for justice and fair play than an autocratic government did” (Addams, 1908). In true Addams fashion, the philanthropic philosopher gave her own homegrown solution to the problem at hand. “The only possible way to break down such a persistent and secretive purpose,” she said, “was by the kindliness which might have induced confession, which might have restored him into fellowship with normal men” (Addams, 1908). Addams’ theory of kindness as an eradicator of terrorism has never really been tested in the city of Chicago, or anywhere else. One of the most recent stories about police brutality, mentioned above, states that former police commander, Lt. Jon Burge oversaw a torture ring of detectives from 1972 until 1991. In October of 2014, 17-year-old Laquan McDonald was shot fatally in the back 16 times by Jason Van Dyke – an officer who alone has accumulated 20 complaints, all of which have gone undisciplined. Citizens are so concerned about the escalation of crime in Chicago, that a website has been created to chronicle police misconduct spanning the years 2002-2008 and 2011-2015. The Citizens Police Data Project’s findings are astounding. Without revealing the entirety of the Project’s report, of all 56,384 of the allegations in the study, 54,089 of these, or 95.93%, were found to be “Unsustained”. In another disheartening flurry of statistics, we also know that violence in Chicago is the highest among all US cities with 2,900 shootings in 2015. How much of a correlation do these two numbers have? And if the statistics are intertwined, is the answer to employ and release more officers into a populace that obviously entertains varying degrees of fear for their “protectors”? Or should we attempt to appeal to our better natures and try actions of kindness? Perhaps another of Addams’ solutions can be used, an effort to better educate officers, citizens, and members of immigrants and working class communities in lessons of cultural assimilation and understanding could be implemented to foster partnership based on harmony rather than discord.